The internationally seasoned violinist Thomas Gould returns to Firebird once again to perform Vivaldi’s dazzling ‘Four Seasons’ and Piazzolla’s ‘Four Seasons of Buenos Aires’ – sometimes referred to as “The Eight Seasons.” The Piazzolla is a seductive set of Argentinian Tangos, similar in theme to Vivaldi’s famous masterpiece. Reflecting the seasons of the southern hemisphere, the four tango seasons are ordered differently. In the concert we will switch between the Vivaldi and the Piazzolla (with an interval half-way) creating a remarkable menu of contrast. 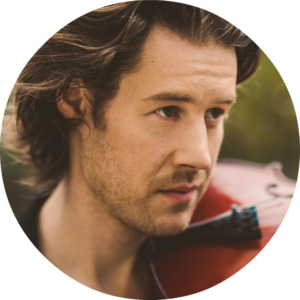 Thomas will direct this performance himself from his magnificent, Italian Guadagnini violin. The orchestra returns to the popular and intimate setting of St George’s Hanover Square (Handel’s Church) – a perfect setting for this seasonal selection of old bursting life onto new.